Yesterday the surgeons at our Brooklyn location performed a minimally invasive spay on a golden retriever. 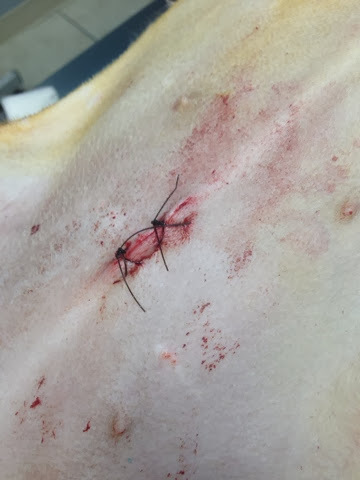 This technique allows us to spay a dog through a one inch incision. The technique permits a very rapid recovery die to less trauma and pain. We will offer this technique at the Reunion Veterinary Hospital. This is the entire incision that is required for the minimally invasive spay.